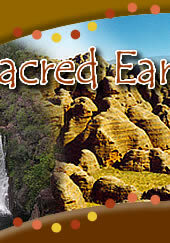 Sacred Earth Safaris are private tour specialists, with years of local knowledge and touring experience. 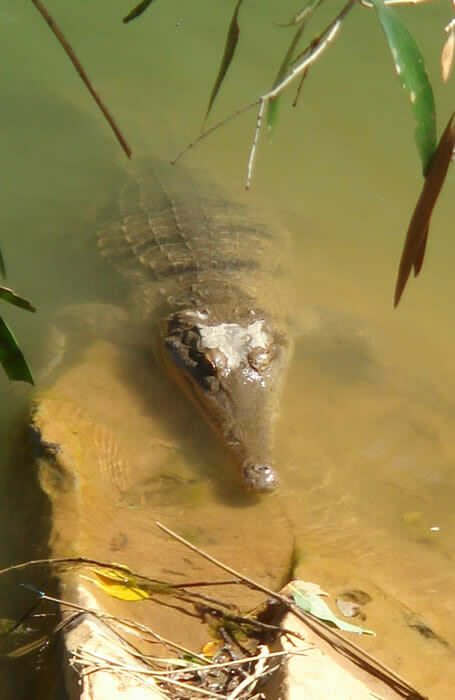 We can offer Kakadu private tours from May- October only, due to seasonal conditions. 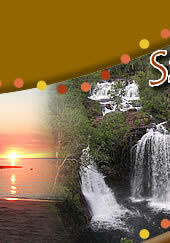 Tours start and finish in Darwin, Kakadu or Katherine. We can offer Kimberley private tours from May to September only, due to seasonal conditions. Kimberley tours can start and / or finish in Darwin, Kununurra or Broome. We also have a spring and summer base in South Australia and offer 4WD Kangaroo Island Tours and tours through the Fleurieu Peninsula, tours across the Nullarbor and through Outback South Australia (Coober Pedy, William Creek, Birdsville, Arkaroola, Flinders Ranges etc.). We can offer tours starting in Adelaide or from a destination of your choice. Let us design you a private tour itinerary, wherever you want to go. Rangi ng from 1 day to several weeks, we can put together a private charter tour just for you. 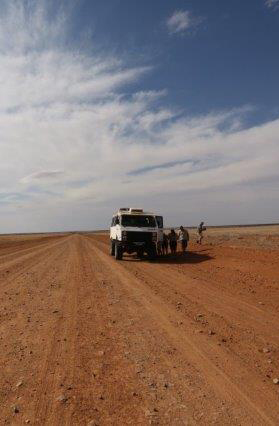 We use only the best equipment available and have fully equipped, air-conditioned 4WD'S : A 4 passenger seat Range Rover Vogue 4WD, an OKA 4WD expedition vehicle and a Tatra 6WD coach , for comfortable travelling in the Outback. Our vehicles are serviced regularly and are well maintained to ensure their safety and reliability. Our tour vehicles also carry recovery gear and guides have a satellite phone in case of emergency. We can cater for micro, small and medium groups in our 4WD'S: maximum 4 passengers in our Range Rover, maximum 9 passengers in our OKA and maximum 24 in the newest addition to our fleet, our 6WD coach. On private charter tours, you have the tour to yourself and your own personal driver guide, so are perfect for families, incentives, social clubs, school groups and special interest groups as we design your itinerary based on your interests, whatever they may be! Whether you’re interested in Hiking, Bird watching, Photography, Aboriginal Rock Art & Culture, Fishing or just finding a remote location and taking in the scenery, we can personalize your experience. If you’re a group of friends or a solo traveller and you want a tour to yourself - no problem - you can charter any of our scheduled tours for yourself or we can design an itinerary for you. Our tours are very popular with active seniors. 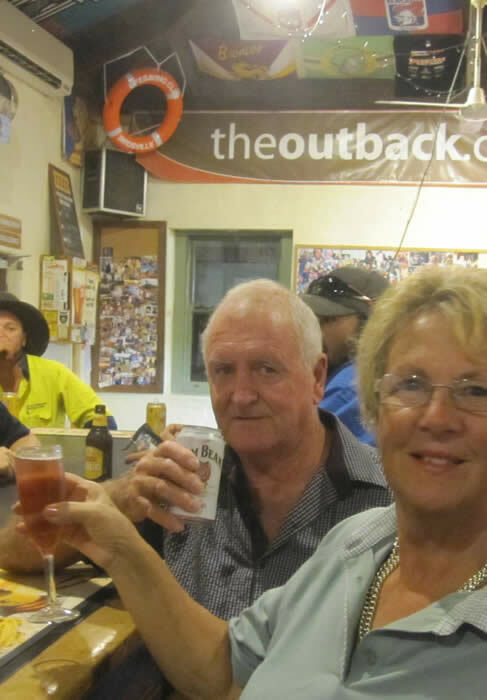 Our Kakadu and Kimberley tours for seniors are designed to suit each groups interests and are conducted at an easy pace with plenty of time for individual interests. On a private tour to The Kimberley or Kakadu, we can offer fixed safari tent camping, accommodated or a combination of both - the choice is yours. Accommodation options include station stays, safari camps, remote wilderness resorts, budget style, cabins, motel or 5 star hotels (where available – this is the outback after all!). For Fleurieu Peninsula and Kangaroo Island private tours, we can offer accommodation in farm stays, heritage B & B's, permanent camps, cabins, wilderness lodges, vineyards, hotels and for Kangaroo Island 4WD tours, we can also offer Heritage Lighthouse accommodation. There's a huge range of options and you can let us know where you'd like to stay or we can suggest somewhere for you. Outback South Australia is full of wonderful, unique accommodation - we can sleep underground in Coober Pedy and stay in an Outback Pub Hotel such as Birdsville and William Creek, which are full of history and local characters ! Stay in a wilderness resort such as Arkaroola and Wilpena Pound resort where you can wake to birdsong and nature outside your door. The accommodation often makes for some great photos ! Private tour itineraries can cater for all ages (though minimum child age is 8 years) and levels of fitness and can include as much or as little activity as you’d like ! We can include all kinds of activities in your touring- wildlife cruises, helicopter flights, cultural experiences, fishing and canoeing, amongst others. Please take a look below at some examples of private charter itineraries. These can be amended to suit you, by adding things in, taking things out or changing the accommodation. We can also offer all of our scheduled tour itineraries as private options. Please contact us if you would like more information or a quote on one of these itineraries, if you would like us to tailor make / design an itinerary for you or if you would like some information on a private Tag Along tour. Please select a private tour option on the drop down menu from the enquiry form on the Contact Us page and then add any details that will help us with your quote or enquiry in the Comments section. 14 Day Tasmania Adventure ! A comprehensive tour to Kakadu, Katherine and the rugged Kimberley region over 13 days, including Kakadu, Nitmiluk Gorge, the Bungle Bungles, the Lake Argyle cruise, El Questro, the sunset Yellow Waters cruise, the Gorges of the Gibb River Road and a spectacular 2 hour scenic flight over Mitchell Falls and the Kimberley Coast. This tour is accommodated in station rooms and fixed safari tents. Tour starts in Darwin and finishes in Broome but can be reversed. We can operate this tour during the dry season only- May- September inclusive. Click here for complete itinerary and options. This child friendly, family tour to Kakadu, Katherine and Litchfield spends 5 days exploring the 3 main parks of the Top End- visiting rock art sights, swimming in waterfalls and enjoying 3 different cruises. We can operate this tour during the dry season only (April- October inclusive with some itinerary variations likely during April and May). Tour from Darwin to Broome through the rugged Kimberley region, including the Bungle Bungles, the Lake Argyle cruise, El Questro, swimming and exploring the ancient gorges of the Gibb River road- Tunnel Creek, Windjana Gorge, Bell Gorge and Manning Gorge. There is the option to take a 2 hour scenic flight over Mitchell Falls and the Kimberley coast. 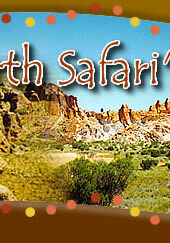 This tour is a combination of fixed safari camps and accommodation. Tour starts in Darwin and finishes in Broome but can be reversed. Spend 2 days seeing the main sights Kakadu has to offer, including 2 Aboriginal rock art sites, a waterfall and the sunset Yellow Waters cruise. This tour is accommodated. We can operate this tour during the dry season only (May- October inclusive with some itinerary variations likely during April and May). 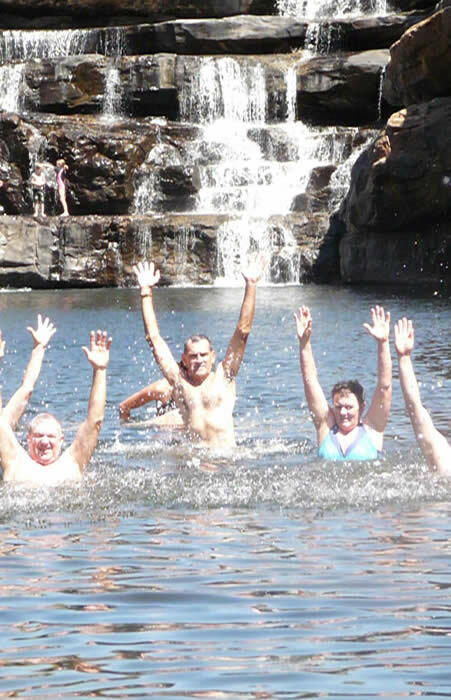 This family friendly tour to Kakadu spends 3 days exploring rock art sights, swimming in waterfalls and enjoying 2 wildlife cruises.This tour is accommodated. We can operate this tour during the dry season only (May- October inclusive with some itinerary variations likely during May). This tour to Kakadu, Katherine and Litchfield spends 5 days exploring the 3 main parks of the Top End- visiting rock art sights, swimming in waterfalls, enjoying 2 cruises and taking part in a hands on cultural experience. This tour to Uluru from Alice Springs also visits Rainbow Valley, Palm Valley, the Western McDonnell Ranges and Kings Canyon, for a thorough exploration of our amazing Red Centre. A comprehensive 4WD tour of Kakadu, Katherine and the rugged Kimberley region over 14 days, starting and finishing in Darwin. Tour includes Kakadu, Nitmiluk Gorge, the Bungle Bungles, the Lake Argyle cruise, El Questro, Geike Gorge cruise, the sunset Yellow Waters cruise, the Gorges of the Gibb River Road and the option to take a spectacular 2 hour scenic flight over Mitchell Falls and the Kimberley Coast. This tour is a combination of permanent safari camps and accommodation. This 4WD Kimberley tour starts and finishes in Broome. Highlights include the King Edward River rock art sites, Lake Argyle, Gorges of the Gibb River Road, El Questro, Emma Gorge, Geike Gorge, the Bungle Bungles and the option to take a scenic flight over Mitchell Falls and the Kimberley Coast. It includes accommodation in en-suite cabins, fixed safari tents and station accommodation. 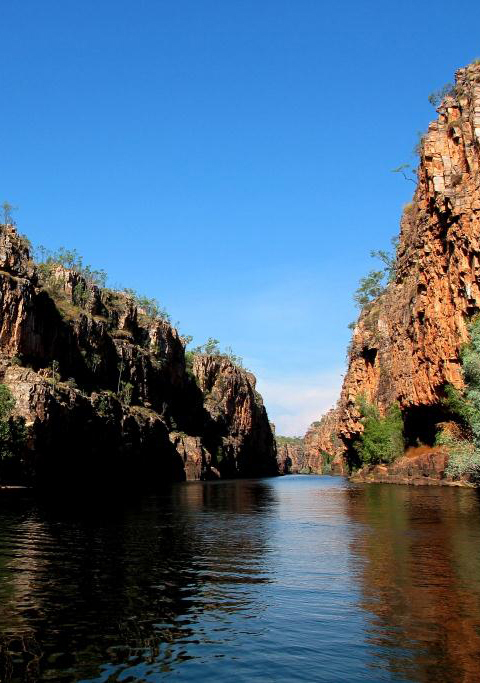 Spend 4 days exploring the sights of Kakadu and Nitmiluk (Katherine) Gorge, including 2 Aboriginal rock art sites, 2 waterfalls, the sunset Yellow Waters cruise and half day canoes at Nitmiluk Gorge. We can offer safari camping or accommodation for this tour. We can operate this tour during the dry season only (May- October inclusive with some itinerary variations likely during May). This 4WD luxury tour to Kakadu, Mary River and Nitmiluk National Parks, stays in the best available accommodation including 2 luxury lodges. This luxury 4WD tour through Kakadu, Mary River, Katherine and the East Kimberley region, stays in the best available accommodation including 3 luxury lodges. The focus of this tour is exclusive touring experiences with premier accommodation and dining. 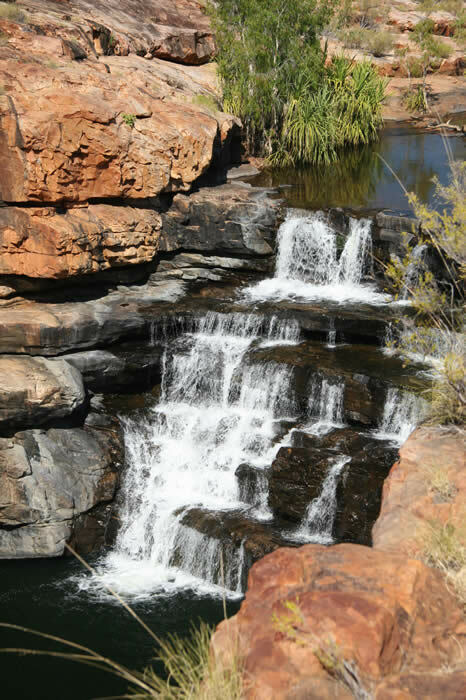 This 6 day 4WD tour to Karijini and Millstream Chichester National Parks is fully accommodated in hotels and the Karijini Eco Retreat. 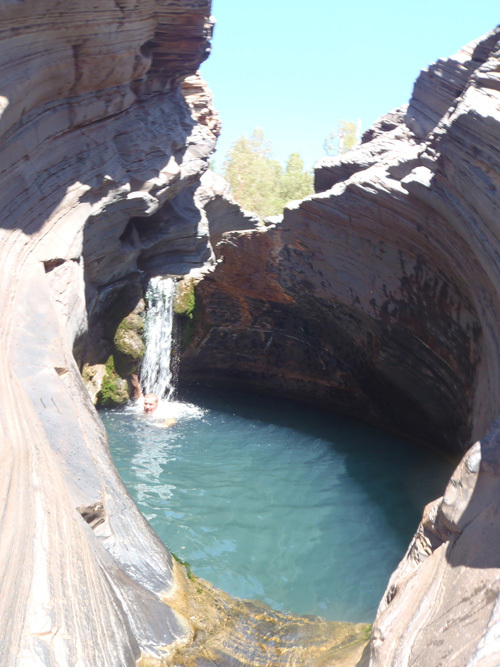 Hike through spectacular gorges and swim in stunning waterholes. We can operate this tour during the dry season only (May- October inclusive). This 13 day tour from Perth to Broome, travels up the West Coast of WA, visiting all the highlights en-route. Includes The Pinnacles, Kalbarri NP, Monkey Mia, Ningaloo Reef, Tom Price, Millstream Chichester NP and Karijini National Park. We can operate this tour during the dry season only (April- October inclusive). Tour can be operated in reverse, from Broome to Perth. On this 3 day Kangaroo Island tour, explore Australia's 3rd largest island and home to a large variety of wildlife, with over 500km's of stunning coastline. 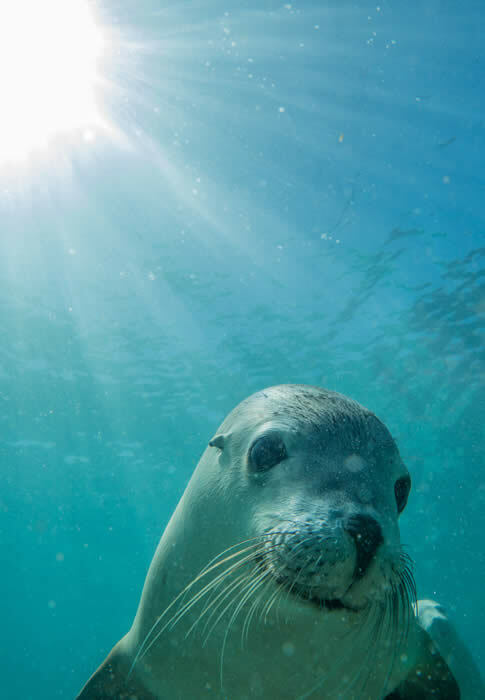 Highlights includes Seal Bay, Little Sahara, Hanson Bay Koala Sanctuary, Remarkable Rocks, Admirals Arch, Cape Willoughby Lighthouse, Kellys Hill Caves and Northern Beaches. Spend 13 day exploring the South Australian Outback- the deserts, the unique town of Coober Pedy, the famous 4WD tracks- Oodnadatta, Birdsville and Strzelecki, Climb "Big Red", stay in famous Outback Pubs and hear the stories of the famous pioneers and explorers that opened up the heart of Australia. This tour across the Nullarbor also includes touring through the Eyre Peninsula and southern WA including Albany, Esperance, Pemberton and Margaret River. The tour runs from Adelaide to Perth and can be reversed to run Perth to Adelaide. Highlights includes Seal Bay, Little Sahara, Hanson Bay Koala Sanctuary, Remarkable Rocks, Admirals Arch, Victor Harbor, Coorong National Park, Hahndorf and wine tasting at McLaren Vale. Starting and finishing in Adelaide, this tour travels through the South Australia Outback, staying in some of the most famous Outback Pubs in Australia ! Highlights include the Oodnadatta, Strzelecki and Birdsville Tracks, Coober Pedy, Lake Eyre and the Flinders Ranges. Due to the temperatures in Outback SA during the summer months, this tour is available in October, November and April only. Starting and finishing in Devonport, Tasmania, this 14 day tour of Tasmania travels across the top, the west and east coast, viewing the best of the states natural and historic attractions. Fully accommodated with a range of activities and accommodation options available, this tour is available during the summer months of Nov- March inclusive. This tour to Kakadu, Katherine and Litchfield has been designed with amateur photographers in mind and visits a variety of sites including wetlands, rock art sites, gorges and waterfalls. We stay in accommodation each night so power will be available if you wish to download or edit your photos each evening. This itinerary can be amended to suit your time frame and personal interests (wildlife, rock art etc.) and a professional photographer can accompany the group to provide instruction, on request. This team building program in Darwin and Kakadu includes a range of activities to challenge, motivate and bond your team through interaction, cooperation, and understanding as well as having fun ! Longer and shorter programs are also available with a host of activities on offer. This Alice Springs team building program to Uluru and the Red Centre includes a range of sights and activities, taking your team out of their comfort zone, challenging them and encouraging them to bond through interaction, cooperation, and understanding as well as having fun ! Longer programs are also available with a host of activities on offer. This tour through The Kimberley been designed with amateur photographers in mind and visits a variety of sites including lakes, rock art sites, gorges and waterfalls. Staying in accommodation, we have power most nights and carry an invertor in the tour vehicle, so you can download or edit your photos each evening. 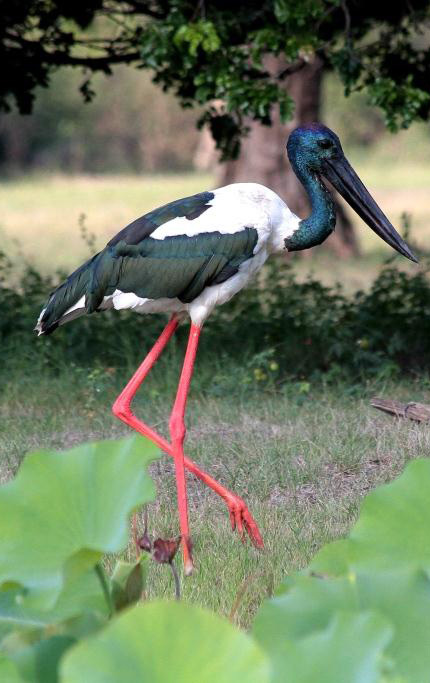 The Northern Tropics are home to a huge variety of birdlife, with over 350 species recorded. 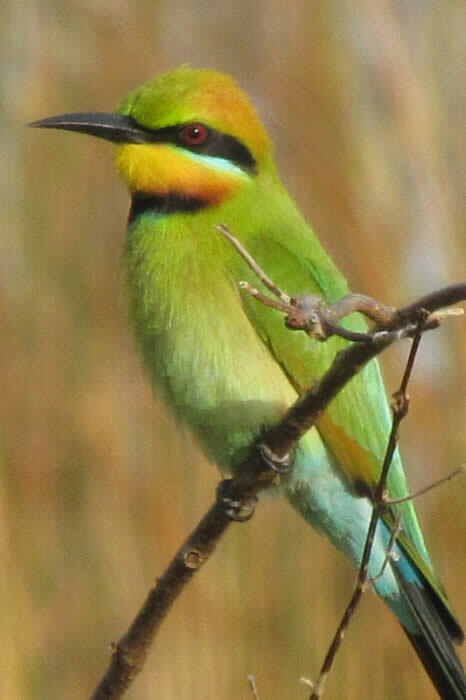 This Kakadu birdwatching tour, including Mary River, Nitmiluk Gorge and the Pine Creek area, has been designed for birdwatchers and nature lovers. We visit a variety of habitats, where a large variety of birdlife can be found as well as a range of mammals and reptiles. The ever-changing landscape that is the South Australian Outback, offers excellent photographic opportunities, from red sand dunes, vast desert and gibber plains and Painted Deserts, to huge salt lakes and the mountains and lush flora of the Flinders Ranges. It's sometimes stark but always stunning and never fails to inspire the creative eye. No wonder these landscapes are so popular with photographers and artists ! Please contact us for further suggested itineraries, scheduled touring options or allow us to tailor make an itinerary to suit your needs.